2. Fill in “Email Address” & “Name” below and click “Save coupons-Get info” or click on the red “BOOK NOW!” button. You’re done! Yes, it’s that easy! 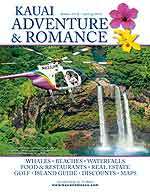 The FREE Coupon Books and Adventure & Romance Magazines are FREE at island-wide locations. Click here to view locations: “Magazine Distribution”.